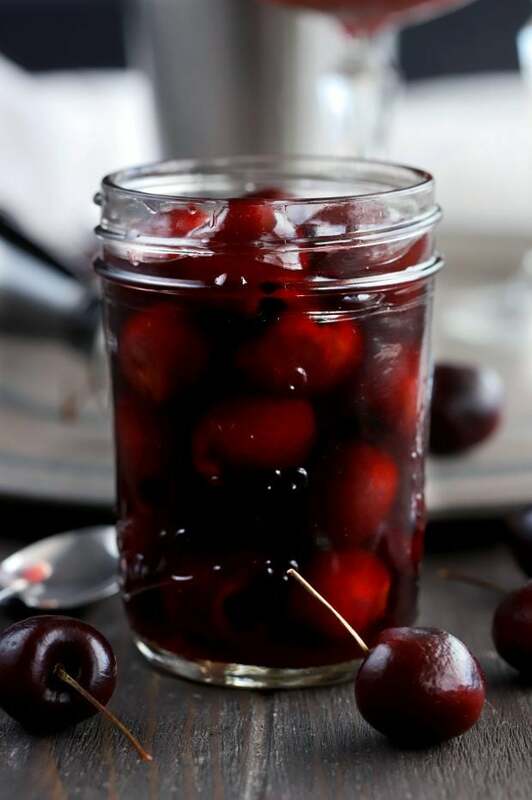 Homemade Brandy Cherries are the perfect garnish for your favorite cocktails! 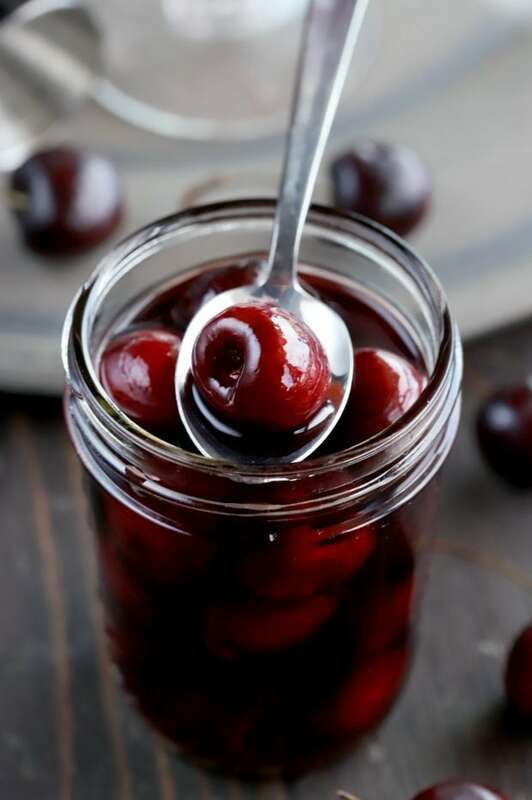 Plump, tart cherries are soaked in tart cherry juice, brandy and spiced rum to give you a homemade version of those fancy cherries you love. 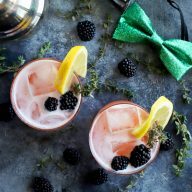 They also make a fantastic gift for your cocktail-lovin’ friends! 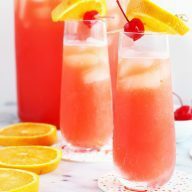 Do you love cocktail cherries? 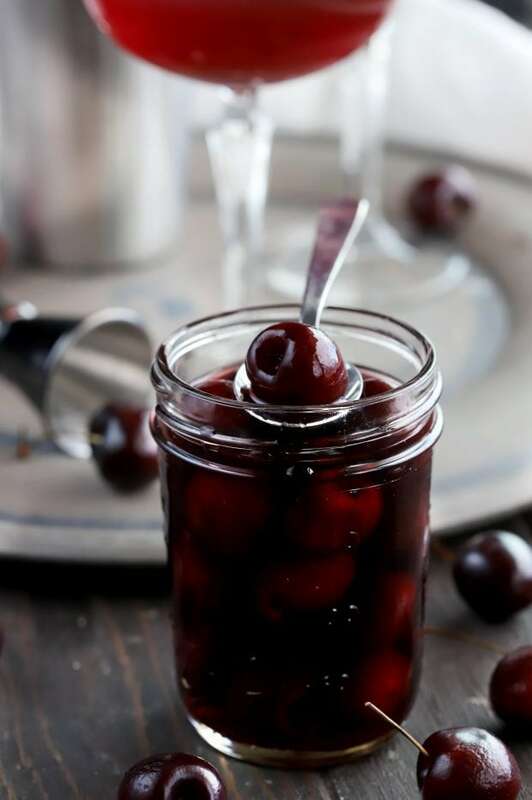 I love a great cocktail cherry as a garnish for a cocktail. I’m not talking about those bright red maraschino cherries. 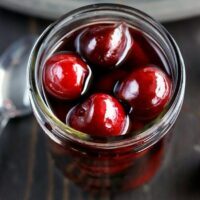 I am thinking about those cherries that are slightly sweet, slightly tart, and with just the right kick of booze to pair perfectly with whatever you are sipping on. 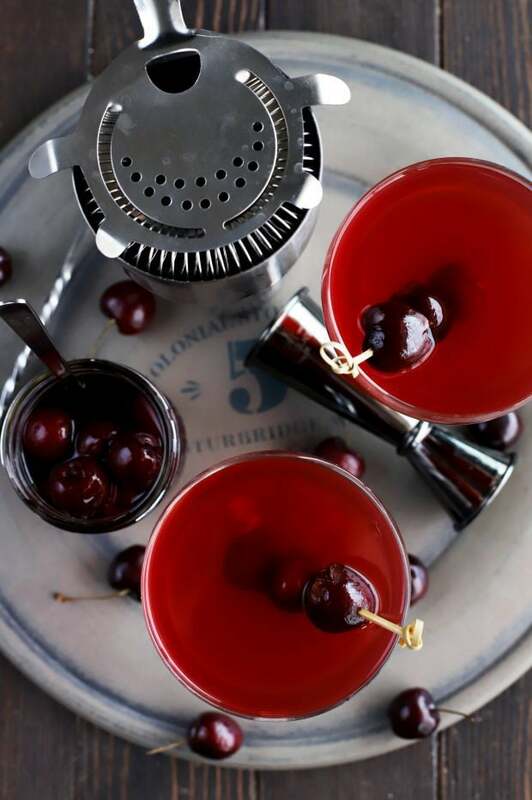 If you have a favorite cocktail bar, I’m sure you’ve had these cherries a million times. Perhaps you’ve even tracked them down in your favorite local liquor store. However, when you do the latter, I’m sure you’ve noticed that price tag is pretty darn high, am I right? 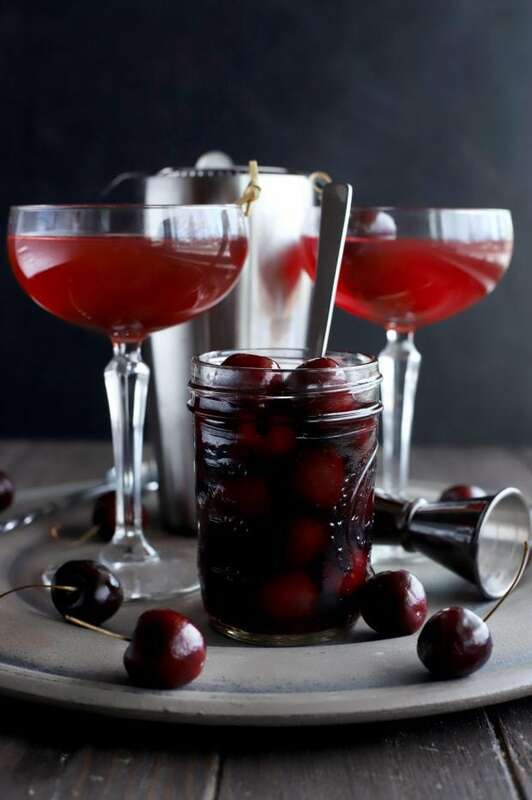 That’s why I’ve taken to making my own cocktail cherries at home for my favorite cocktails. 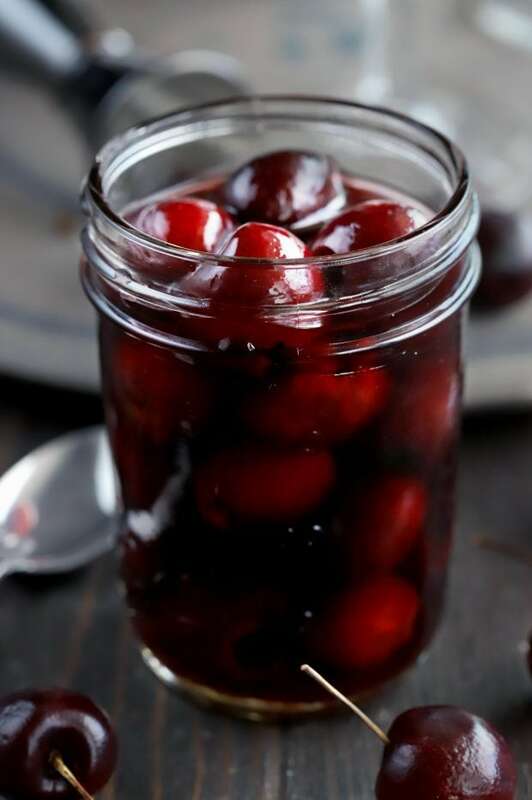 Homemade brandy cherries are soaked in combination of a sweet and tart cherry spiced syrup, along with brandy and spiced rum. They are ready after being stored in the refrigerator overnight, and they take little to no effort to pull together. In otherwise, they are the next recipe you need to make. I love having them on hand at all times now, especially because the Man LOVES Manhattans for cocktail hour. However, these cherries also make an awesome gift! 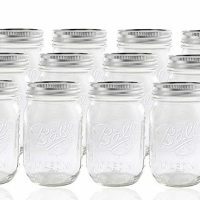 You can store them in the normal sized mason jars, or you can pack them up as little gifts in smaller mason jars for family and friends. 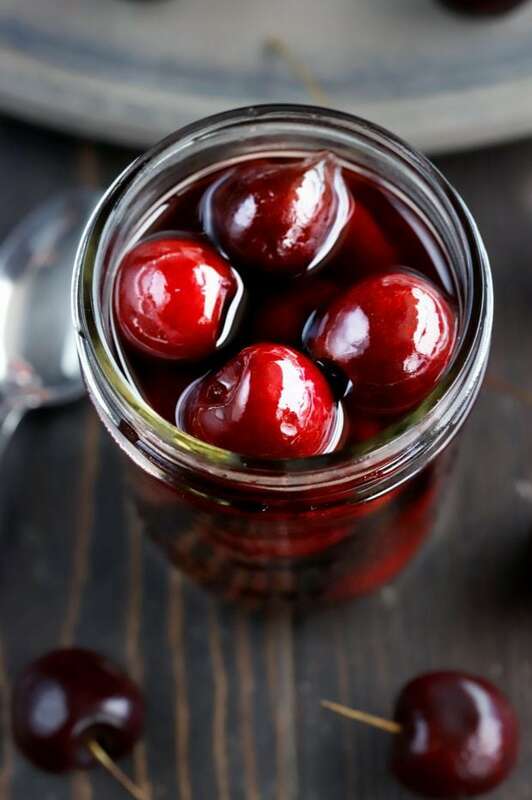 So what cocktail would you first garnish with these homemade brandy cherries? For instance, that answer for me will always be a Manhattan. It’s just timeless, you know? To store my cherries, I like to use the standard Ball Glass Mason Jars! They are super handy to have for so many things, so I feel like the set of 12 is best to get. You can also find them in packs of 6! to bring it all together. These two are tools I always use! 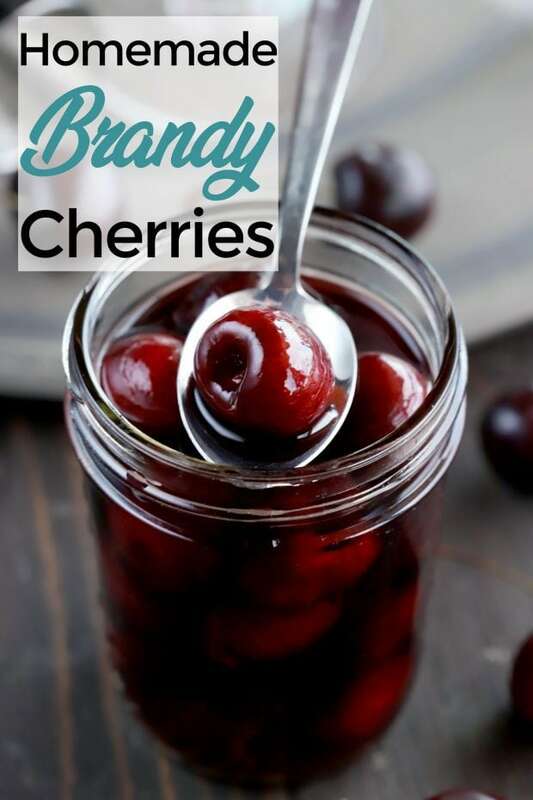 Pin this Homemade Brandy Cherries recipe for later! 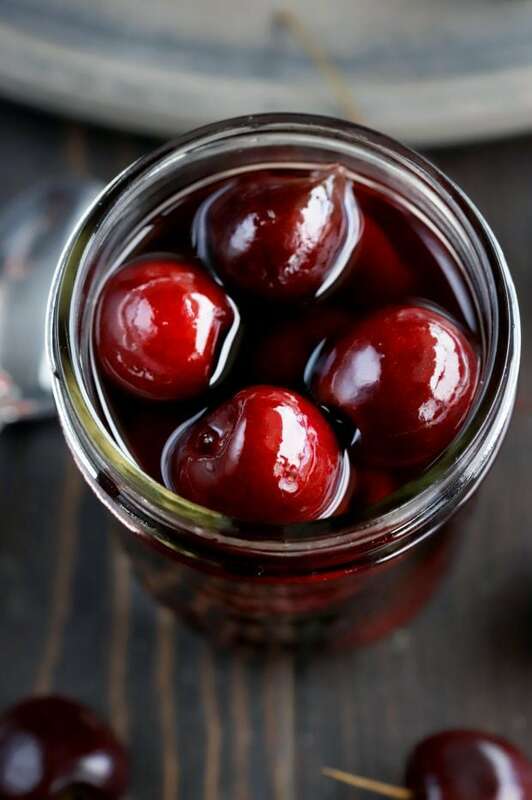 Cherries soaked in a combination of brandy and spiced rum are the ideal garnish for your favorite cocktails! 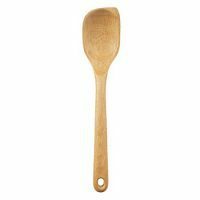 Add sugar, cherry juice, cinnamon, nutmeg and salt to a medium saucepan. 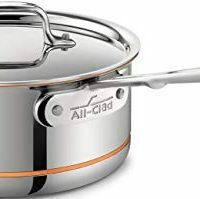 Bring to a low simmer over medium heat. Simmer until the sugar has completely dissolved, stirring frequently. Remove from heat and stir in brandy and rum until combined. 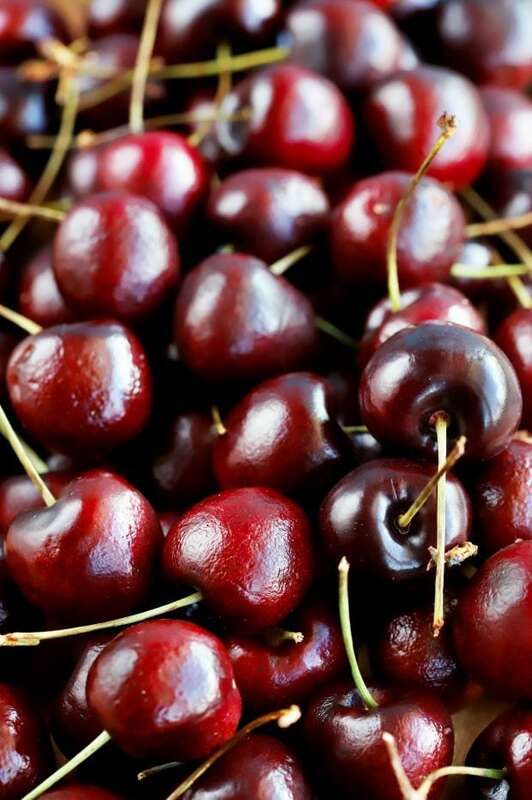 Stir in cherries until coated. 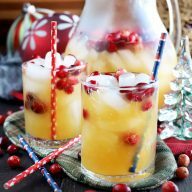 Store in clean mason jars, cooling to room temperature before placing in the refrigerator. Refrigerate overnight before serving.